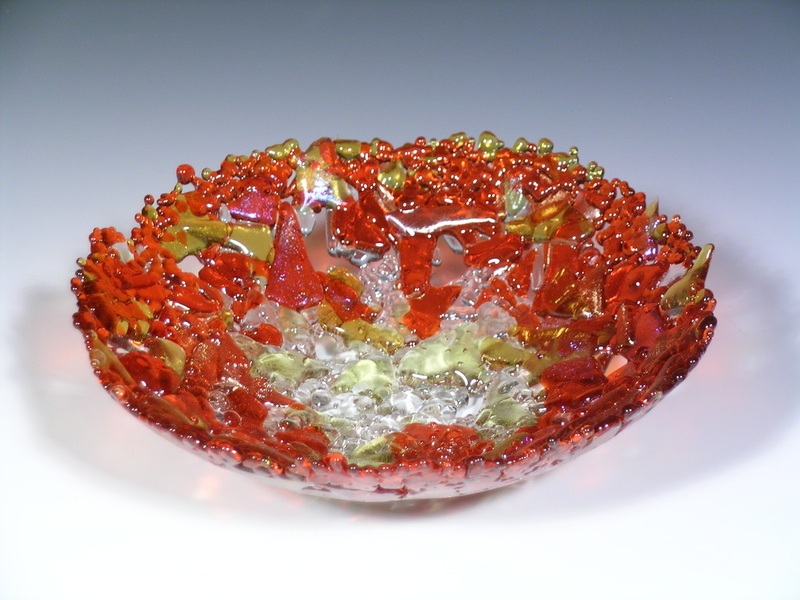 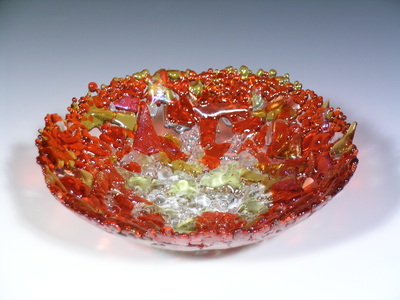 Kiln formed glass bowls in five nesting sizes and 8 color combinations. 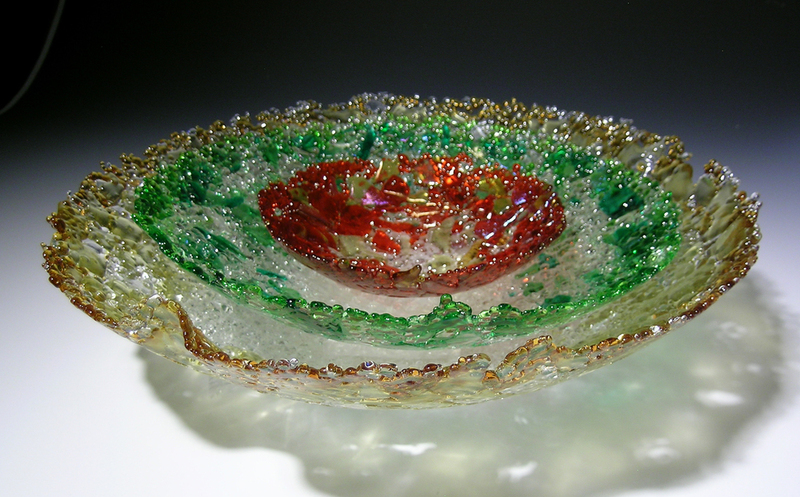 The textural and sculptural qualities that prevail in our Phoenix Series are achieved by constructing and layering our materials, and then carefully monitoring the temperatures during the kiln forming process. 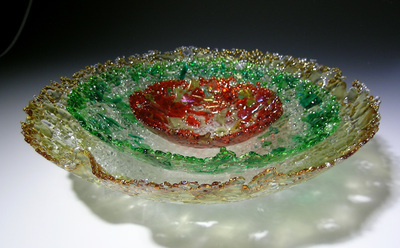 Additional firings transform the glass into three dimensional forms, leaving undulant, sculpted edges. 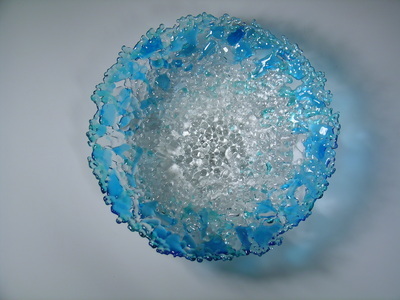 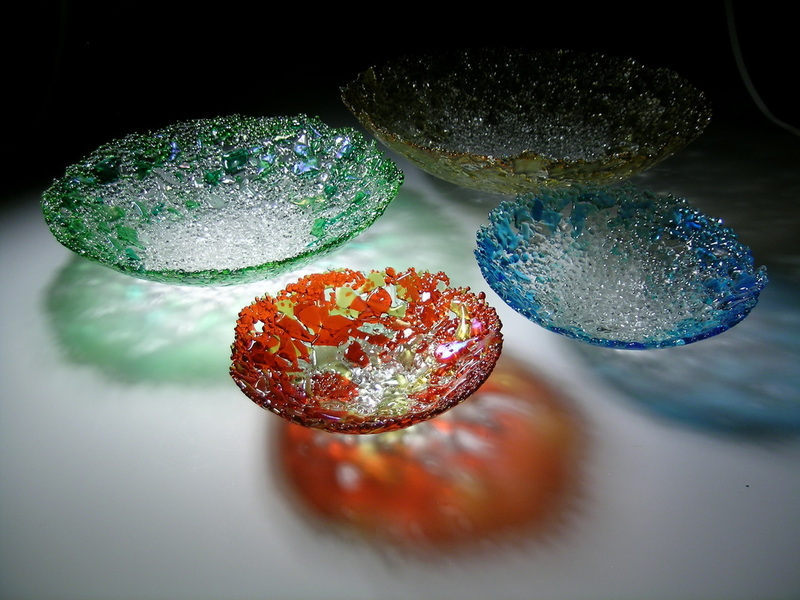 Our materials for these bowls include crushed clear and transparent colored glass.